Though known primarily for the extensive range of our exterior signage products, Charleston Manufacturing, LLC knows that way-finding and quality graphics imaging does not stop at the front door, but must continue through to interior applications as well. So in response to strong customer demand, Charleston Manufacturing, LLC is pleased to announce the addition of a number of interior signage products to our offerings. Now Charleston Manufacturing, LLC will take you all the way through whatever architectural signage project that you are involved with! If you can design it, Charleston Manufacturing, LLC can build it! 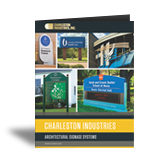 As with all Charleston Manufacturing, LLC products, we utilize state-of-the art science and technology to create the most unique signage with the highest quality. Further our industry experience means that we have literally seen it all! So please contact us directly with all of your ADA signage questions and concerns. Choose from a wide range of substrate and profile materials to fit your project needs. 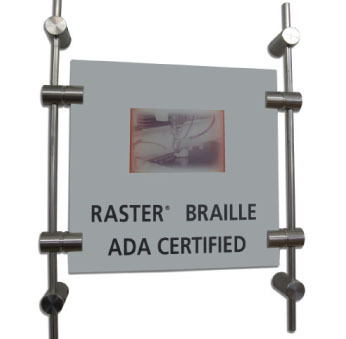 From engraving materials to acrylics and polycarbonates, Charleston Manufacturing, LLC has the ability to create all of your ADA signage requirements. 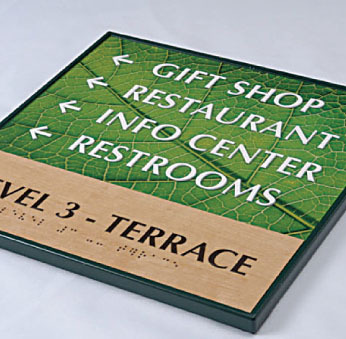 The world of interior signage is not limited to squares! At Charleston Manufacturing, LLC our diverse fabrication capabilities can create non-traditionally shaped signage to match any design aesthetic. Simply send us an image of the sign you are trying to produce and we will use our extensive resources to fabricate an identical sign. 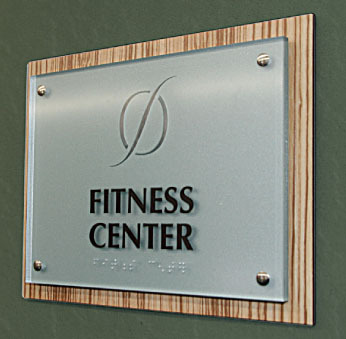 Charleston Manufacturing, LLC’s line of stainless steel standouts provide you with a variety of signage mounting options so that you can dress up any sign or display. From decorative caps and buttons to cable mounting systems, the system flexibility is yours to take advantage of. 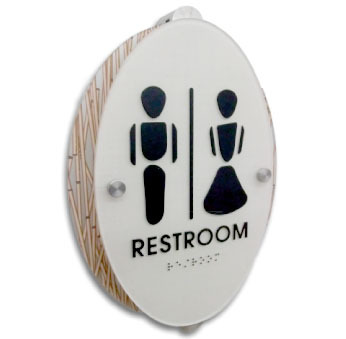 The Charleston Manufacturing, LLC Standoff system is easy to install and provides a modern look to any interior sign. Utilizing high-resolution digital color imaging and enhancement technologies, Charleston Manufacturing, LLC is able to fabricate interior wall panels that are as distinct and as individual as your imagination will allow. Panel images can be as small as a 4” x 4” tile, to a full-sized 48” x 96” sheet or even larger depending on the substrate being specified. So for graphics that looks as real as the “real thing” consider Charleston Manufacturing, LLC’s digital images and prints.